President Dong-Chul Jeong (left) of KCTECH and UNIST President Mooyoung Jung (right) are posing for a portrait at the signing ceremony for cooperation MoU. 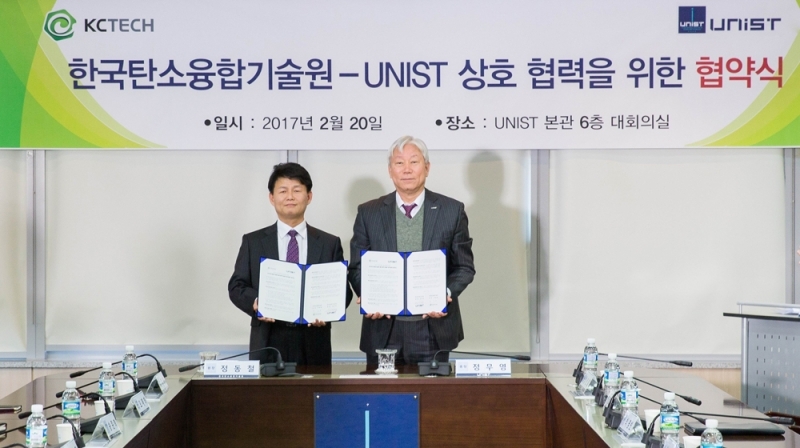 On February 20, UNIST signed a Memorandum of Understanding (MoU) with Korea Institute of Carbon Convergence Technology (KCTECH) to jointly develop new super strong materials for the supersonic Korean Hyperloop train, also known as Hyper Tube Express (HTX). The Hyper Tube Express (HTX) is an ultra-fast transit system powered by magnetic attraction that would move at nearly 1,000 km per hour. This allows traveling from Seoul to Busan would only take about 20 minutes. The trip is currently a little less than three hours on the Korea Express Train, more popularly known as the KTX. The proposed design for UNIST’s new ultra-fast passenger transport capsule by Professor Yunwoo Jeong of Design and Human Engineering at UNIST. Hyper Tube vehicles that run at high speeds should be made with high-strength materials that can withstand high temperatures and high-pressure environments. These materials must also be light-weight and resistant to wear and corrosion in order to keep the capsules secure. Carbon fiber composites have been suggested as the ideal type of material. 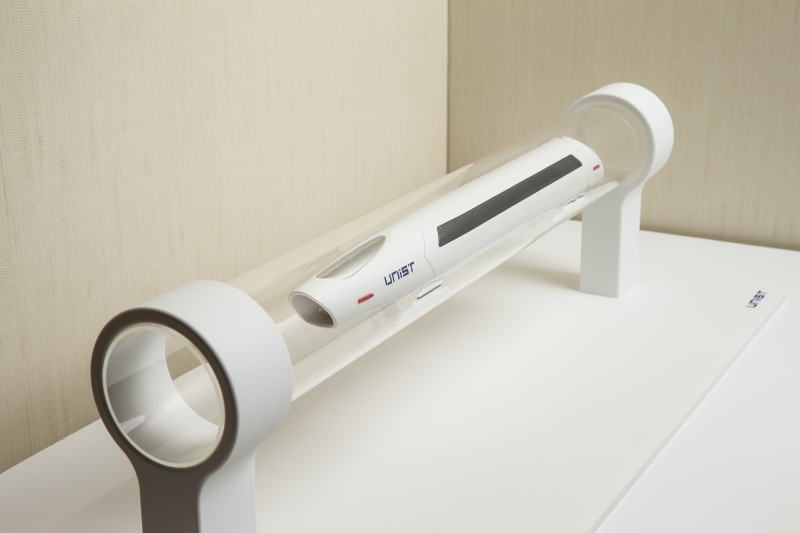 UNIST will develop new super strong, light-weight materials for Hyper Tube Express (HTX) in collaboration with KCTECH. Under this partnership, UNIST will design carbon fiber composites and develop core technologies to produce ultra lightweight train bodies. UNIST will also undertake research into custom-made parts using 3D printing technology. KCTECH is the only government-funded research institute for carbon fiber material & CFRP in Korea. The ceremony was attended by President Mooyoung Jung of UNIST, President Dong-Chul Jeong of KCTECH, and other key officials from both organizations. KCTECH is the only government-funded research institute for carbon fiber material & CFRP in Korea. 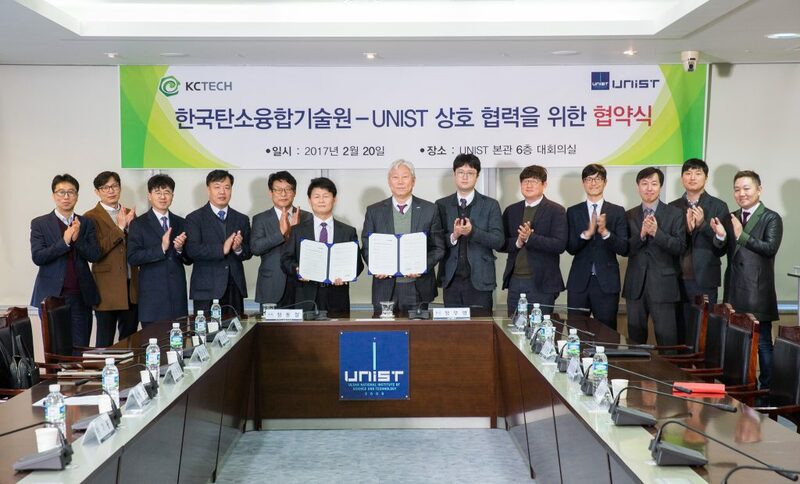 UNIST is also collaborating with seven institutes, including Korea Railroad Research Institute (KRRI), Korea Institute of Civil Engineering and Building Technology (KICT), Korea Transport Institute (KOTI), Korea Institute of Machinery & Materials (KIMM), Korea Electrotechnology Research Institute (KERI), Electronics and Telecommunications Research Institute (ETRI), and Hanyang University.